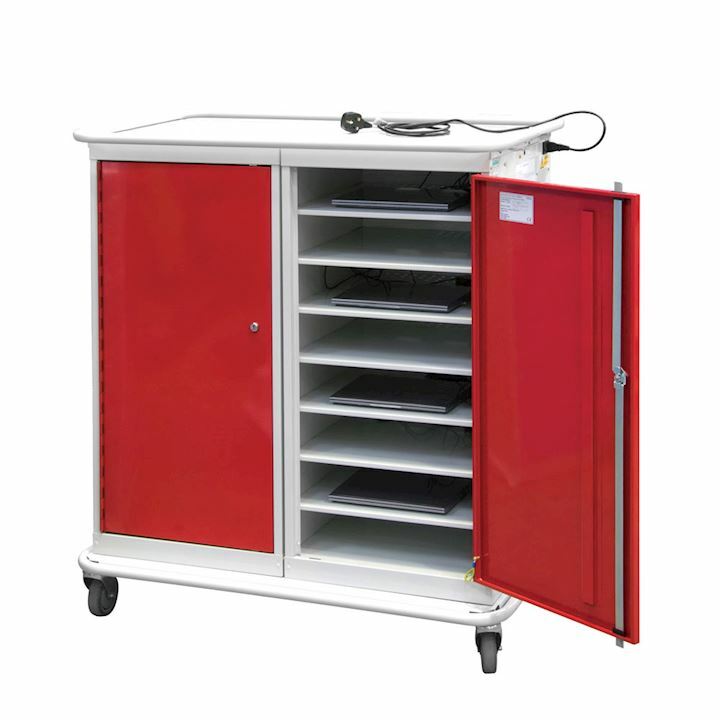 Laptop trolleys have all the features of our free standing laptop locker units. They have the extra benefit of being able to wheel them around from room to room. 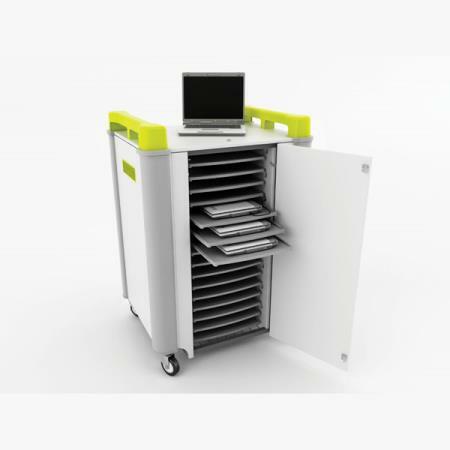 Laptop trolleys are particularly useful in schools, colleges and universities. 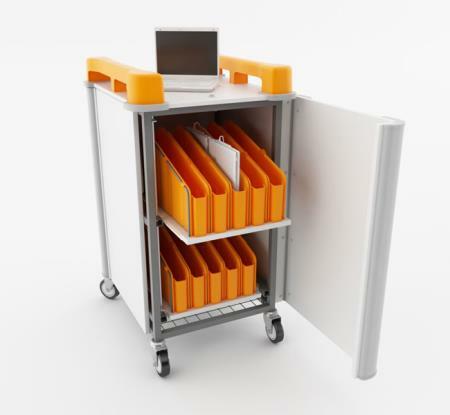 Transport laptops and tablets easily along corridors. In addition laptops, tablets and media devices can also be left to charge while not in use. 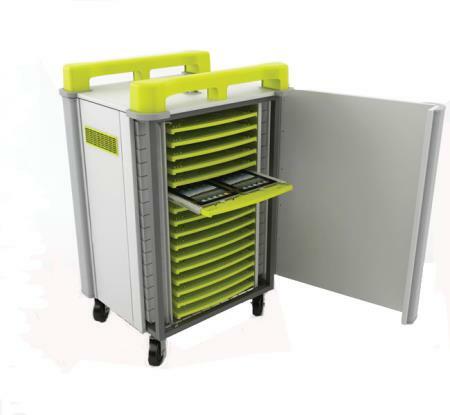 Our Classbuddy range can store and charge up to 15, 20 or 30 laptops, as well as up to 30 tablets. All devices charge simultaneously using their own AC adaptors or USB cables. 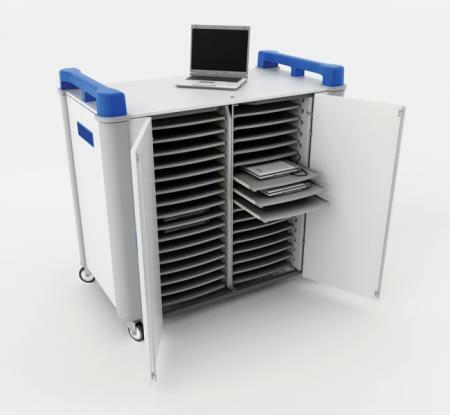 LapCabbys can store and charge up to 32 laptops and tablets. They come with a Power7 energy management system. Together with adjustable timers for economy charging. 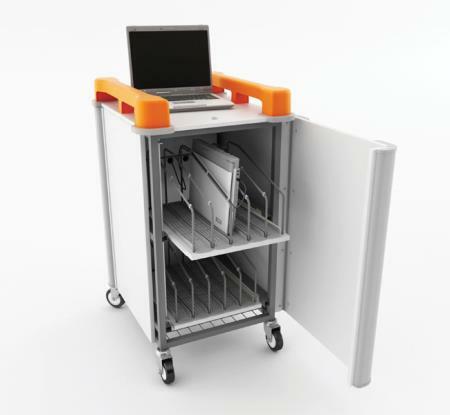 We also have a budget laptop trolley which is available with either 2 or 4 doors. This comes in a range of door colours. 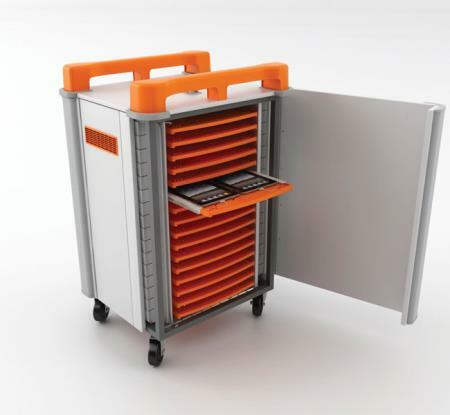 3D Lockers can offer FREE delivery on all laptop trolleys. 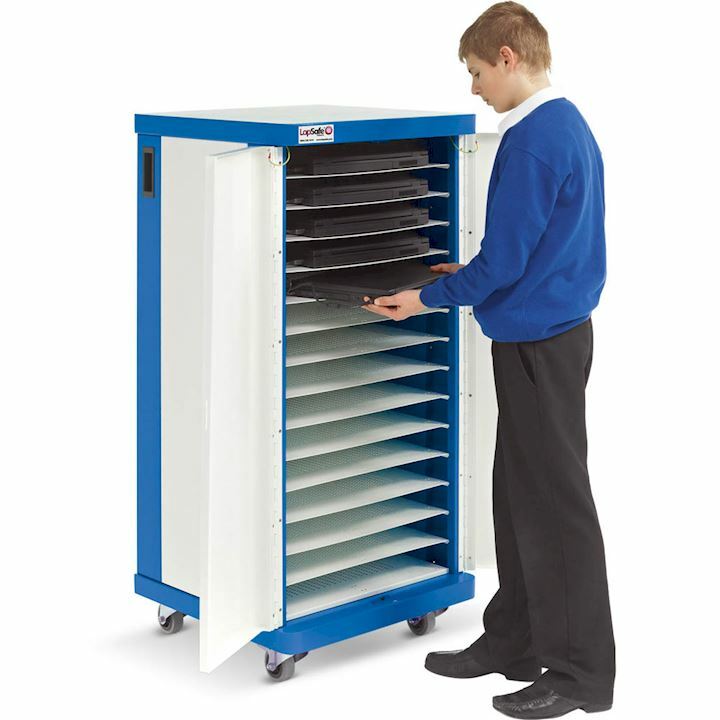 For more information please call our sales team on 01924 240291.